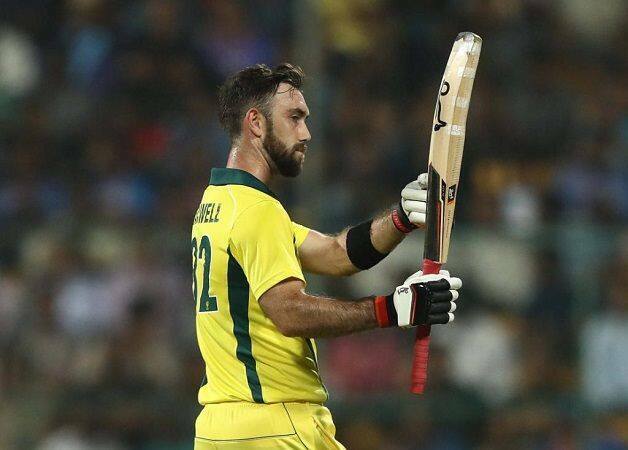 In a first for Australia, the Men in Yellow won their first T20I series in India courtesy to a one-man show by Glenn Maxwell who single-handedly guided his team to victory. Chasing a target of 191, Maxwell top scored and remained not out as he took his team past the finish line by scoring 113* in just 55 deliveries. After winning the all-important toss, Australian skipper Aaron Finch decided to bowl first. The Indian openers played the first half watchfully, however once set, KL Rahul, exploded like a bomb as he quickly took his team to 61 in 7 overs. Nathan Coulter-Nile, however, dismissed the Indian opener in the very first delivery of the second over. Shikhar Dhawan who looked patchy in his innings of 14 of 24 deliveries finally fell prey to Jason Behrendorff in the 10th over. The Indians were languishing to score runs freely and this also resulted in Rishabh Pant handing over his wicket to part-timer D’Arcy Short, after a series of dot deliveries forced him to go for a big hit which was comfortably caught by Jhye Richardson in the deep. India were 74/3 at 11 overs when MS Dhoni came into the middle to stable the Indian innings along with the Indian captain Virat Kohli. The experienced duo stitched on a 100-runs partnership before Dhoni was dismissed after a well made 40. Virat Kohli remained not out at 72 as India posted a par total of 190 in their allotted overs. The score would have been enough considering the wicket which was on a slower side. However, Maxwell had other things in his mind as he single-handedly led his team to victory. Australia lost Marcus Stoinis and Aaron Finch cheaply as the pressure was mounting upon them, however, Maxwell along with Short counter attacked and led their team to 95 at 11 overs, before Short was dismissed by Vijay Shankar after a well made 40-runs. In the meantime, Glenn Maxwell was going about his business coolly as he was nearing another fifty in T20I’s. He along with Peter Handscomb put on a 99-runs partnership as Maxwell reached to his maiden century en route in registering Australia’s first T20I series victory in India. Maxwell remained unbeaten at 113 while Handscomb scored 20 in a 99-runs partnership. Maxwell for his one-man show was handed over the man of the match trophy, while he was also adjudged the player of the series. Both the teams now move to Hyderabad where they will face each other in the ODI format. What do you think, who will go on to win the ODI series after Australia emerged victorious in the T20I format? 2nd T20I IND vs AUS Match Prediction – What will be the result?